How can we add conditions for buy/sell signals to this AFL?. Will u please explain if possible? I must say your posted information, if utilised in right direction can give very good results. I’ve recently downloaded the Ami Software, so I dont’ve very good hand on it. Thanks for advising. Here I can only copy the formula. From where I can download it as a file in .afl format? Now I just need to purchase Data from TDI… and i’m all set..
mr rajandran sir how to delete and insert this ichimoku indicater time and again when i wish on the chart. ok let me try but main question is wheather it will work in trial version of ami. sir pls arrange this valuable formula as afl file so to download and insert easily. and lastly give instruction to newbies how to insert and use this afl. 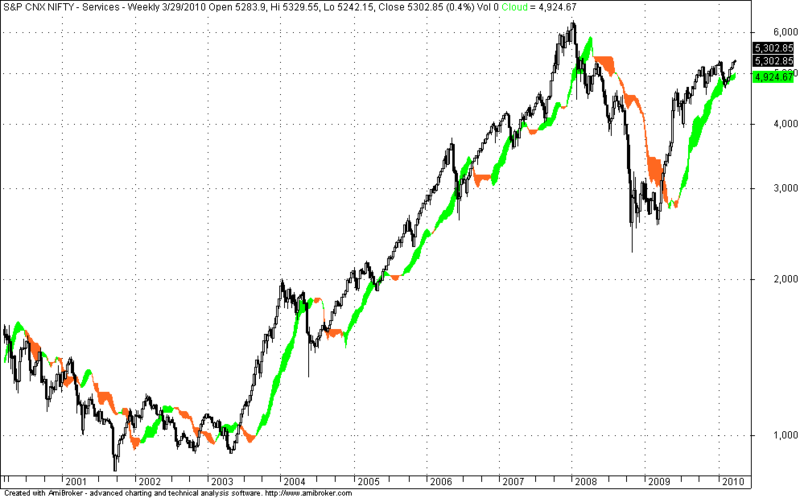 e.g if i insert ichimoku as overlay how can i delete and reinsert etc. Mr, rajendran ,will you please make the space between spanA and spanB Histogram instead of cloud in the fallowing ichimoku afl. Mr. rajendran, will you please change the cloud as Histogram in the fallowing ichimoku afl. Is there a way u can created a mt4 n 5 for this indicator.I am new in forex.But i do read a lot and still learning . please try to post an afl code for following logic.